Glucosamine functions to normalise cartilage metabolism and helps to repair damaged or eroded cartilage. It stimulates the production of glycoaminoglycans (GAGs), proteoglycans and collagen in the joint cartilage matrix and synovial fluid, all of which are important to prevent the breakdown of cartilage. Chondroitin sulphate is a cartilage component that promotes water retention and elasticity. Acting like a water magnet, it absorbs water into connective tissue and provides shock absorption. Chondroitin is the most abundant GAGs in the articular cartilage. At the same time, it can also inhibit the enzymes in cartilage breakdown. BiO-LiFE Glucosamine 500mg with Chondroitin Sulphate 400mg is formulated based on the dosage used in Glucosamine/Chondroitin Arthritis Intervention Trial (GAIT) in 2006. The combination of glucosamine and chondroitin sulphate in the trial conducted over a period of 6 months demonstrated effectiveness in treating moderate to severe osteoarthritis knee pain compared to Non-Steroidal Anti-Infalmmatory Drugs (NSAIDs). Osteoarthritis, also called degenerative joint disease is caused by the break down of cartilage which is the connective tissue that cushions the ends of bones within the joint. As the cartilage breaks down, it loses its ability to cushion the bones resulting pain. Glucosamine and Chondroitin sulphate are both substances used in the treatment of osteoarthritis. They are naturally found in and around the cell of cartilage. Glucosamine is an amino sugar that the body produces and distributes in cartilage and other connective tissues for building the cartilage. Chondroitin sulphate is a complex carbohydrate that helps cartilage retain water. 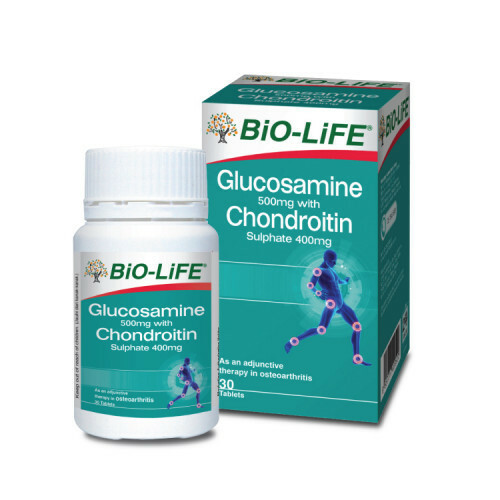 The combined dose of glucosamine and chondroitin sulphate used in BiO-LiFE Glucosamine with Chondroitin tablets are based on doses largely studied by the United States National Institute of Health. Light to moderate: One tablet twice daily, 15 minutes before meals for at least 6 weeks (or according to medical prescription). Follow-up therapy: Maintenance therapy should be followed for 3-4 months (or according to medical prescription) by administration of one tablet twice daily, 15 minutes before meals. 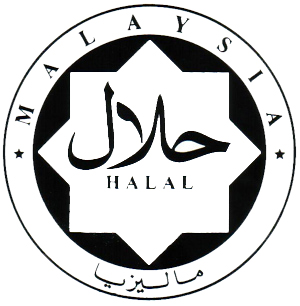 The treatment should be repeated every other 6 months or less according to medical prescription.